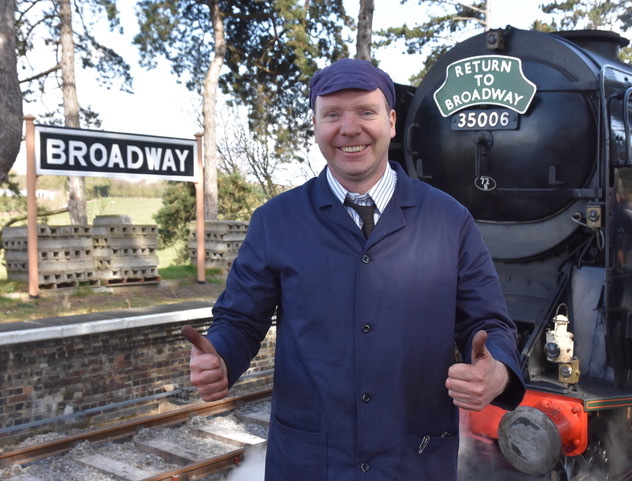 The people who had sunk both money and elbow grease into the Gloucestershire Warwickshire Steam Railway’s extension to Broadway saw their efforts rewarded on Wednesday and Thursday, 21st and 22nd March with a series of ‘Return to Broadway’ special trains to the Cotswold village. 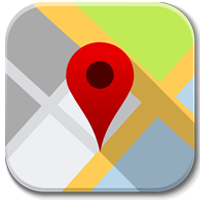 The new Broadway station opens for public services from Good Friday, 30th March. Nearly 2,000 volunteers and shareholders enjoyed a trip on the newly-laid line to admire the brand new station built by volunteers, and paid for by shareholders. 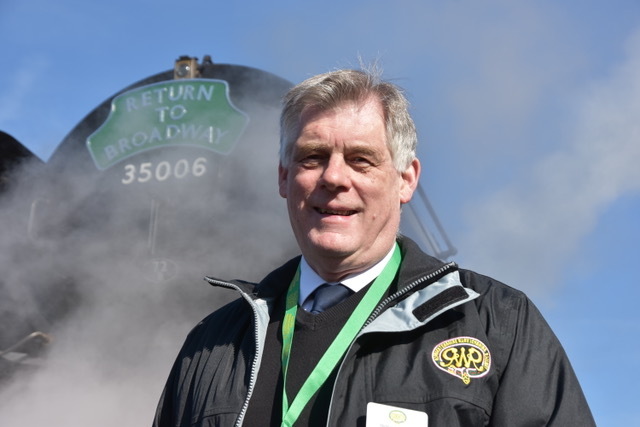 Richard Johnson, the voluntary chairman of GWSR Plc said: “This was the pinnacle of achievement for everyone who has played a part in making the dream of reaching Broadway again, a reality. These two days have been a way to enjoy the fruits of all this hard work and being among the first to travel by train to Broadway after a gap of more than 58 years. 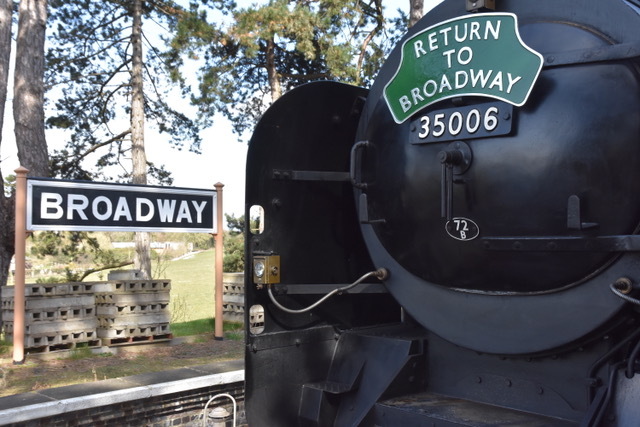 “Connecting Broadway with Cheltenham by rail again was the vision of those early pioneers who first took over a derelict Toddington station in 1982. That was three years after British Railways had lifted the track and removed the infrastructure of the main line that once ran between Stratford upon Avon and Cheltenham. Broadway station, along with most other stations on the line, had closed way back in March 1960. “Embankments and bridges have been repaired, drainage fixed, new track laid and a brand new station built on the site of the original – all by volunteers! 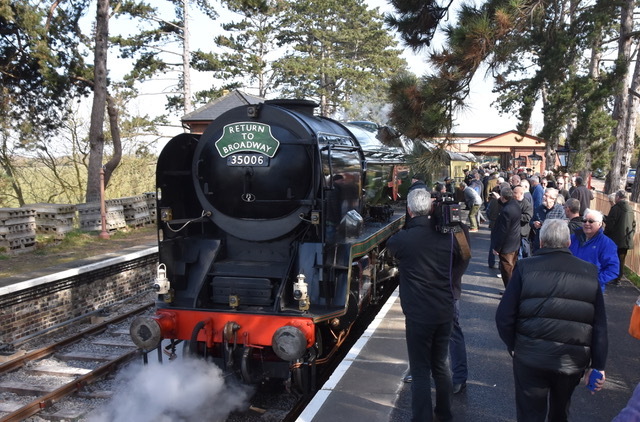 On Good Friday, Lord Richard Faulkner of Worcester will formally open the station and travel on the footplate of Great Western Railway-designed engine no. 7903 ‘Foremarke Hall’ as it departs at 09.40 with the first public train to Cheltenham for 58 years. Media are welcome to witness and travel on the first train. Please confirm with Ian Crowder (contact details below) if you have not already done so, if you would like to come. Please note that there is no car parking at Broadway station yet. 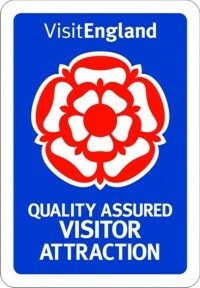 Media should please park at Toddington station and travel on the train that departs at 09.00 from Toddington on Good Friday on which Lord Faulkner and other invited guests including Mrs Harriett Baldwin MP; and representatives from Wychavon District Council which has been extremely supportive of the railway’s return to Broadway.